Actually, I was thinking about ways to have the two new characters intoduced. So the 2nd in commaned of the decepticons is a bot named Railfire. Specifically his rank is called Baron. Now he has a devision of bots all to himself. 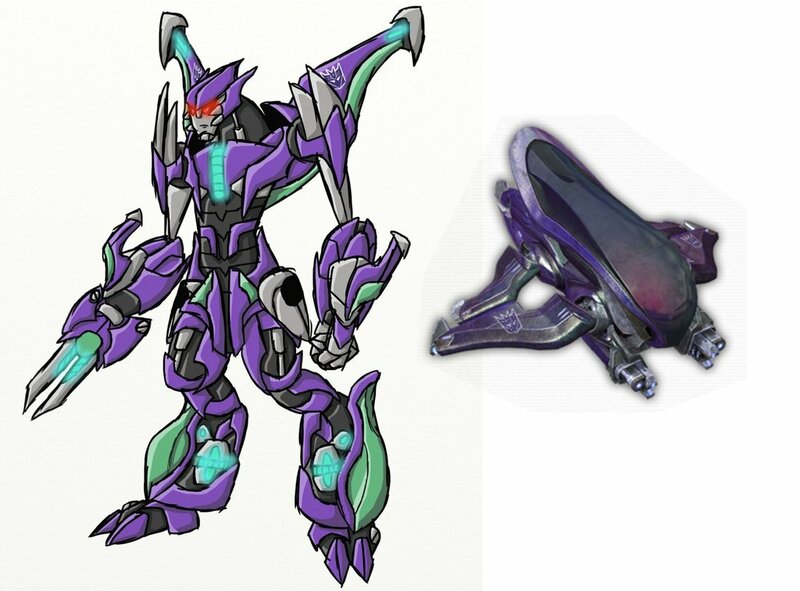 Like seekers or vehicons. All of them having covenant themed alts. 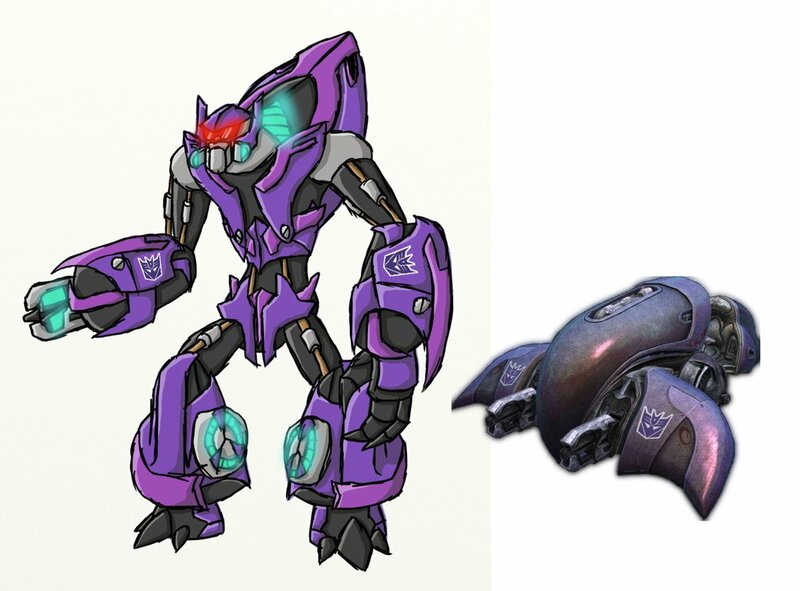 And standard class have the same body type as Railfire, but he has different markings, so he's easy to tell apart from his troops. So your character fits right in. Given her personality, I could easily imagine her being one of the bots close to Railifre rank wise, if not his 2nd in comand. That'd be lovely! Feel free to ping me up about details or whenever you want to introduce them! I will be there. Well you have all the basic information you need. Well save for one thing. Railfire is a part of the team that went to the other planets, and is currently in purgatory. If you want to go over exact details for her introduction, feel free to PM me and we can talk about them. She won't be a fan of Bootleg, either. Nope, but at least he didn’t basically bomb a Decepticon run city and manage to get away with a ‘ship’ while doing so, and all while they were in high-alert due to Nova’s attacks. Talk about an embarrassment for the police/armed forces in the city. Looks like your characters will need some manual face-plate readjustment. Haha, have fun trying! For we’re already dea-Wait... we’re coming back... Run away! Well, it currently looks like Bootleg might spend the rest of the RP in the Pit, so I'd say he's getting his just desserts. I am not seeing any images, just boxes. Try saving the images from Discord and other places you tried to copy from and post here onto your device/computer then posting those saved copies of the images onto here and that should make them visible. Well, he seems like he’ll be a fun guy! And by that I mean Savage is going to want to fight him! (Robot Mode) Although it should be noted that he is below the average height of cybertronians, Springramp more than makes up for it in width: characterized by big, girthy servos, broad, round shoulders and powerful large feet, Springramp's full potential lies in exploiting his size and strength to shield fellow transformers and in drawing any enemy fire unto him. 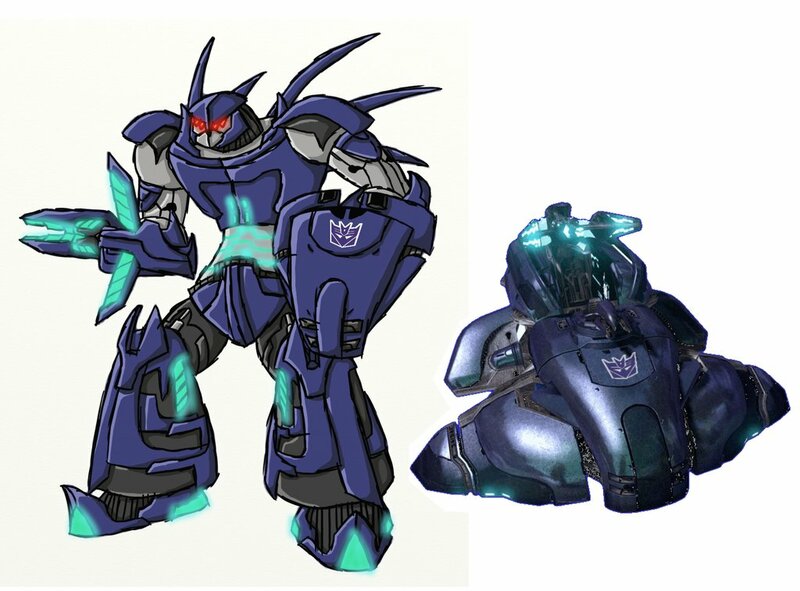 (Alt Mode) Springramp's alternative form reflects many of the characteristics of his robot self. As such, the roof of his vehicle form is rather low and close to the ground compared to other designs, as well as relatively even and flat. His characteristic round shapes, however, are only conveyed subtly in this form, as seen by the semi-smooth edges of the vehicle. 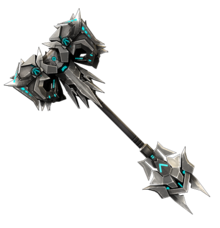 A colossal warhammer composed of a multitude of sharp, jagged metal teeth extending from the edges of both the head and the pommel. Small, clean slits run along the flat surfaces of the weapon, emitting a light blue hue in tune with the color of Springramp's optics. Two sizeable particle cannons transform from the underside of his forearms, particularly effective at mid-range; moderately destructive though slow at firing. Bio: Springramp is a young and chipper character with an optimistic view on life and a strong moral basis. Although it may be perceived as naivety, Springramp truly believes in the ideals of justice and freedom for all living things, as such being always ready to perform even the greatest of sacrifices in order to stay true to his vision. I agree; he kinda reminds me of Reinart(?) 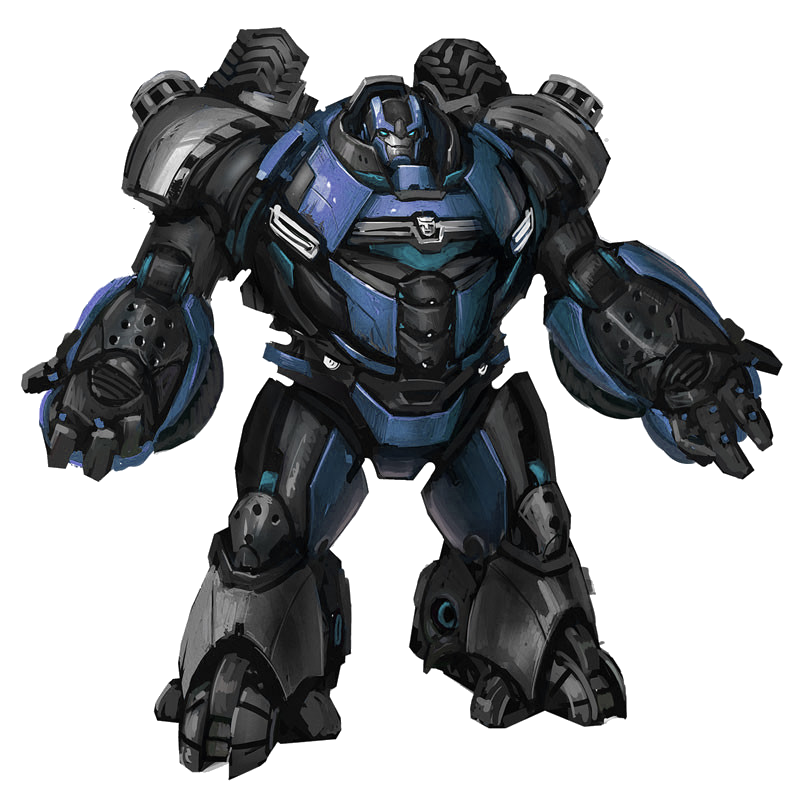 from Overwatch with his tanky combat style that has been described and of Hoind from the description of his robot mode due to the whole giant wall that packs a serious punch sort of build. @DukeSteven, MakutaTexxidos already posted the same signup sheet and has a similar problem with boxes being in the place of the images you are trying to use. I recommend trying the same advice/suggestions I gave Tex. Yea, we are working on it in a discord call. And I’m just ‘planned’ chaos in action. Do you still see boxes? Don't change the images, they have been fixed and are now visible on my screen. Sorry for the urgent tone.